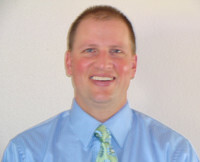 A graduate member of the Tomahawk High School Class of 1990, participating in baseball for four years, hockey three years, football two years, and golf one year. In addition to earning ten letters, Aaron was captain and co-captain in both baseball and hockey. He also earned seven All Conference awards. Aaron was All Conference First Team in baseball as a freshman, sophomore, and senior as well as being All Conference Honorable Mention his junior year. Adding to his baseball career, Aaron was voted Lumberjack Conference Player of the Year as a sophomore and had a .429 batting average his senior year. He was Second Team All Conference his junior year in hockey and was First Team All Conference his senior year. Aaron also earned an Attitude Award, Hustle Award, Most Improved Award as well as other various major athletic awards because of his work habits and dedication. After high school, Aaron attended UW-Oshkosh for three years before transferring to UW-Madison where he graduated from the School of Pharmacy. While at Madison, Aaron did his Community Pharmacy Externship at Walgreens and at the Hospital Pharmacy with the Marshfield Clinic. Additionally, Aaron is a member of the American Society of Health-System Pharmacists and the American Pharmaceutical Association. Presently, Aaron is employed at Walgreens as Manager of the Pharmacy in Oshkosh.